Picnic weather is well and truly upon us, and now that I have found a couple of lightweight maternity dresses to live in – I am managing just fine. I love eating outside, and I absolutely love packing a picnic and seeing where the day takes us. I am feeling slightly apprehensive for the summer holidays because I am so heavily pregnant, and I don’t want the boys to miss out because I’m feeling too tired or too uncomfortable. It’s a really exciting time of the year for them, and Win and Ru both have so many things that they want to do, so I hope that we can fit most of them in. 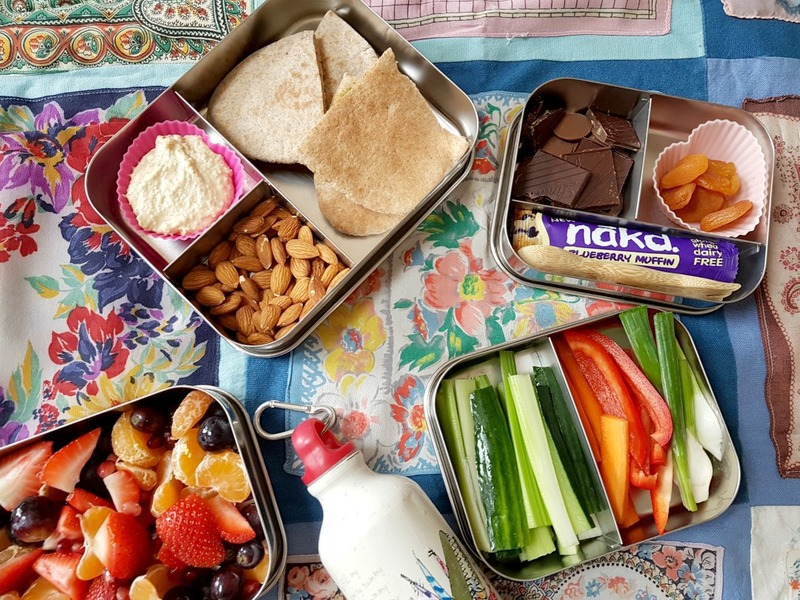 Whenever we go for a day out over the summer, we almost always take a packed picnic lunch with us and I pack pretty much the same food every time. 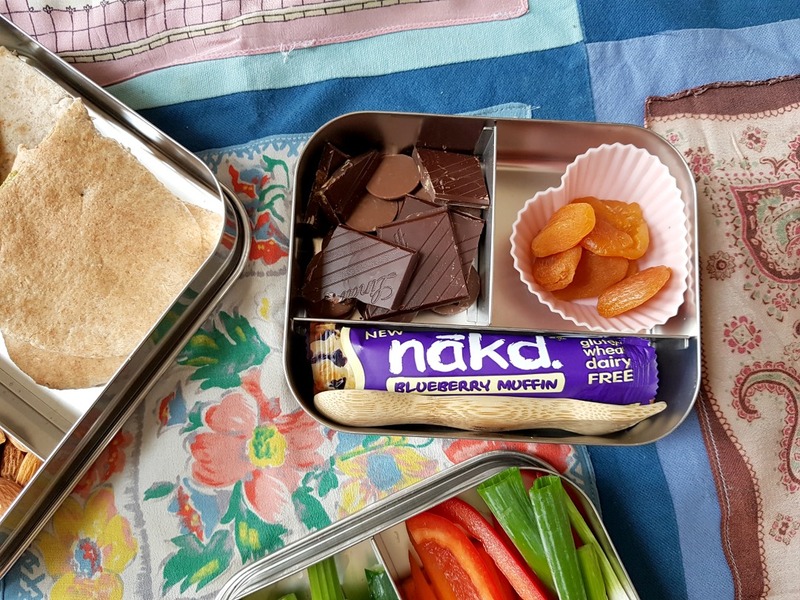 All three of them eat a lot, and I’m starting to think that I need to get a proper picnic bag, or similar – recommendations please? but here is what else I will be taking with us: Stainless steel water bottle – These are everywhere at the moment and I am so pleased at how well they keep water cold in the hot weather. I’ll be buying Otto his own too, once he starts nursery in September. Lunchbot – People that have ready my blog for a while will know that I love a Lunchbot. I’ve had a couple of them for over 6 years, and they are still as good as new. 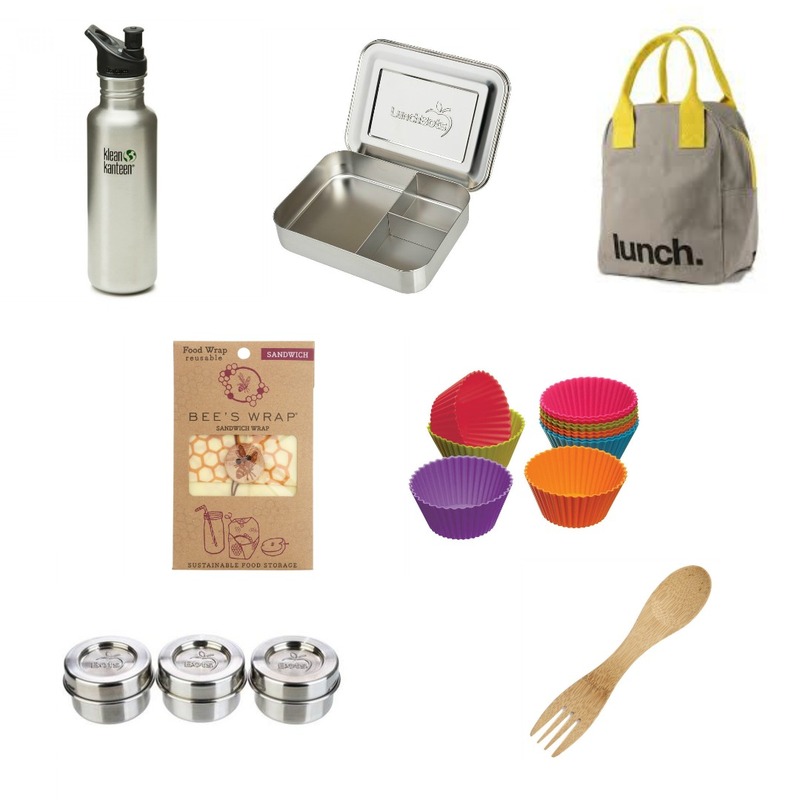 I use them for picnics, packed lunches and any time that I want to eat lunch on the go. They are dishwasher friendly too, which is so handy. 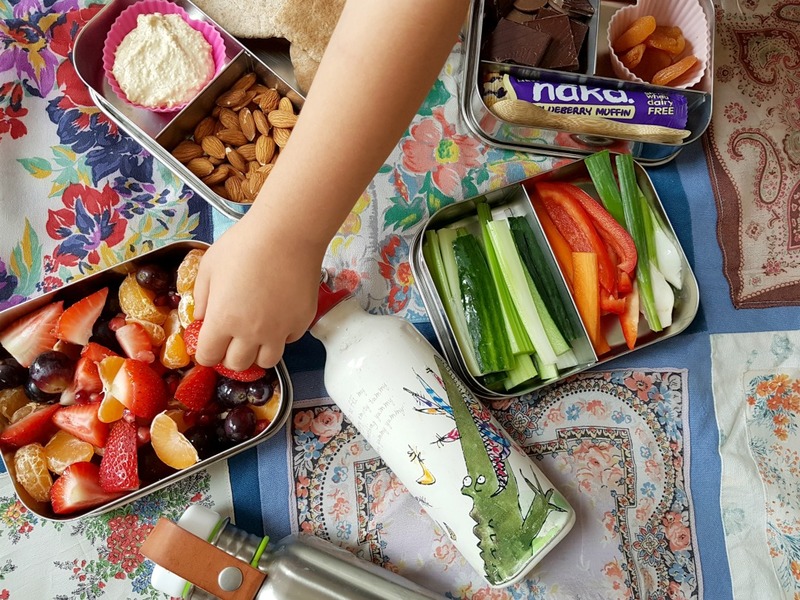 Fluf lunch bag – After doing some research a couple of years ago – I decided to buy a Fluf lunch bag after reading lots of fantastic reviews. It is made out of very thick canvas, is machine washable, surprisingly spacious and has a chunky zip that makes things easy for little hands. I decided to buy a shark one, as I thought this would appeal to all three of them for the longest period of time. The inside features an elastic pocket to hold a drink, and I can’t fault it. I know it’s expensive, but I like to buy one that will last more than one hand-me-down. Beeswax wrap – I wrote about these a few weeks ago, and they are so handy for wrapping up items like cheese, bread and cake. Apparently it’s easy to make your own, which I find intriguing. Silicone cupcake wraps – I use these every time that I make a packed lunch for the boys and they are brilliant. I have pink and purple heart shaped ones, but there are so many shapes and colours available. They are really useful for items that can be juicy or wet – boiled eggs, houmous, pesto, or chopped fruit and vegetables. Stainless steel dressing pots – Perfect for dressings, yoghurt and sauces. Bamboo spork – These fit perfectly inside a Lunchbot and has both a spoon and a fork end. 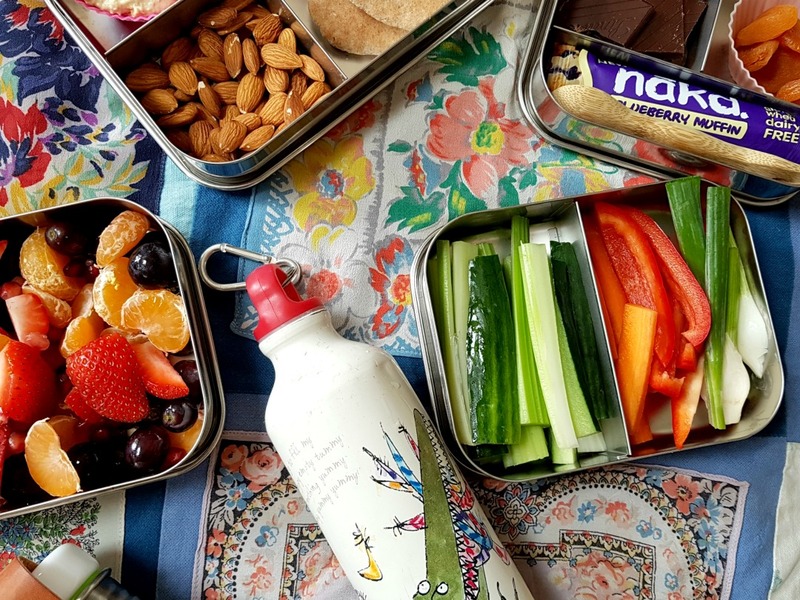 The size of it makes it perfect for travelling, and eating on the go.